Whitman Publishing, LLC, $29.95. Hardcover, xi+272 pages, full color. 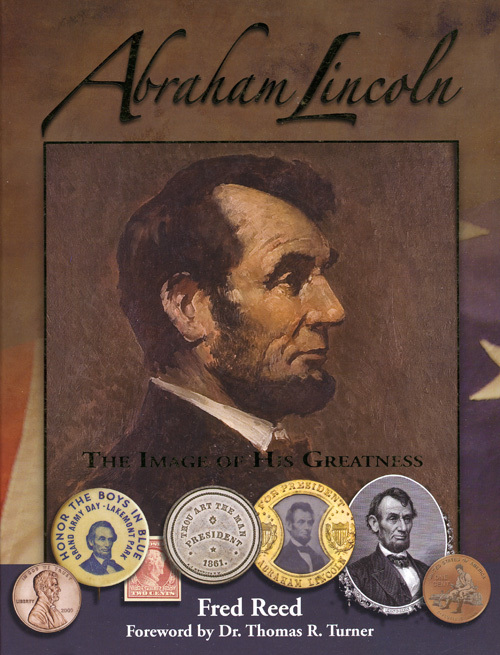 Fred Reed's book explores the popular depiction of Lincoln as "ideal, idol, and icon." The martyred president is seen on coins, tokens, medals, postage stamps, and paper money - and also in oil paintings, magazine covers, popular advertisements, political cartoons, and other diverse media. The book is beautifully illustrated in full color, with hundreds of private and public images.